This week I was in the LCBO and spotted just a few bottles left of Duchy Old Ruby Ale 1905, so I picked up a couple. Usually I do not try to duplicate breweries as I have a lot of fun researching each new brewery I discover. When I brought these home, I discovered that I had actually done a review for a beer from Duchy, their Duchy Originals Organic Ale. In searching the Duchy website, I could no longer find this beer. I am wondering if it has been discontinued or repackaged as the Select Ale or, gasp, the beer I had just picked up, the Duchy Ruby Red Ale. Furthermore, when I went to the LCBO website, there is no listing for the Ruby Red, only for the Organic Ale. Could it be that not only am I duplicating breweries but also beers? A quick look tells me that the Original Ale was 4.7% APV and this one is 5% so perhaps it is a reworked recipe. Interestingly enough, the Duchy website does not provide any description of the Ruby Red but does for the Select. The Original cannot be the Select Ale as the select is brewed as a strong ale with a 6.2 % APV. I went to the Bartowel to see if there were any thoughts on this there and found a thread. The posters on it also wondered if the 1905 was the Original Ale. Anyways, I am going to review this beer, then refer back to my old review of the Organic Ale and compare. 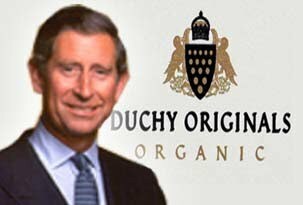 Duchy Originals makes many organic products including beer, food and wine. It was created by Prince Charles, Prince of Wales, and all profits fro the sale go to The Prince's Charity Foundation. Duchy named the 1905 after they style of malt used in the beer, Plumage Archer barley malt. This type of barley was developed in Warminster England in 1905 by Dr. E.S.Beaven, who owned Warminster Maltings. 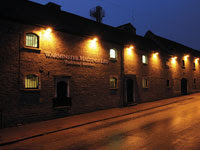 The company now is a major malt supplier for English brewers. The barley is grown on Prince Charles home farm in Highgrove. The beer does pour reddish in colour with a decent head. After the head dissipated, nice lacings stayed along the inside of the glass. With the first sip comes some bitterness from the hops then the malt seems to take over. In the end it finishes again with a nice balanced bitter hop note. This is a very nice beer. Glad I bought a couple as I will enjoy them both. Now to look at my review of the Originals Organic Ale. "The malt taste comes though and there is no hoppiness in the flavouring or finish. I found the first one a little weak in flavour but the next one had a full flavour and body to it. I found this to be a good beer but not a great beer. I like a hoppy beer with some bitterness and this one does not fit the bill." From that description, I would have to say that this is a different beer, which is good to know. The Beer of the Week may revisit a brewery but still has not revisited the same beer.